1. Please share who you are, and the name of your art program. I am an international artist and art teacher that has been lucky enough to work or have exhibitions/projects in 8 different countries. I had my first art class when I was 19 and I sold my first portrait at 15. 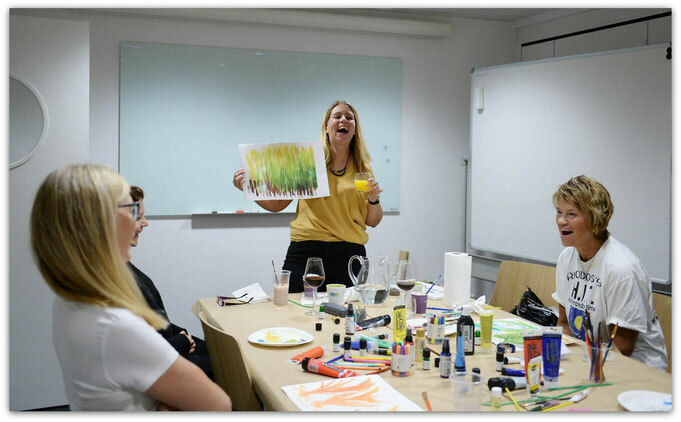 Art and meditation are life long passions and I have finally joined them into a programme filled with creative mindfulness. 2. Where is your art program located in the world? What population do you serve and why do you enjoy working with this demographic? Why is your work needed? My art program is based in Karlstad, Sweden and online. 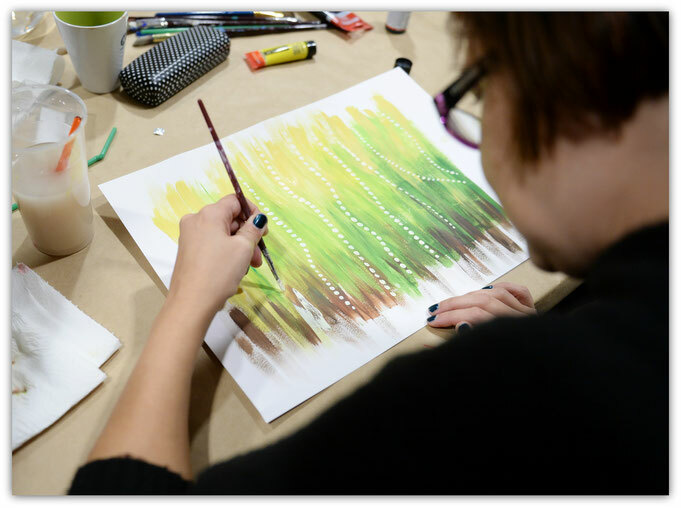 I serve those that are curious to learn creative tools to expand creativity and mindfulness. 4. How do you make your artists feel at ease so that they can more comfortably express themselves? The courses are filled with creative tools that you can't control but extremely beautiful in play, to get through the perfection barrier. I have created a creative spa to create and enjoy with all your Senses, essentially we work through each Sense in combination with creating. When untold feelings are expressed and understood touches me deeply. I had one teenage student that went from black to colours during the 6 weeks of Creative Mindfulness. A student painted through the healing process after a dear family member. Through the paintings, she found memories that she had forgotten, and in the same painting group was a close friend of her loved one which helped her understand. This was unplanned by us but felt planned as it helped her connect the memories and emotions by new stories from their friendship. However I strongly believe that I provide the tools and the reflective questions, but the students discover their own road through creation and mindfulness. 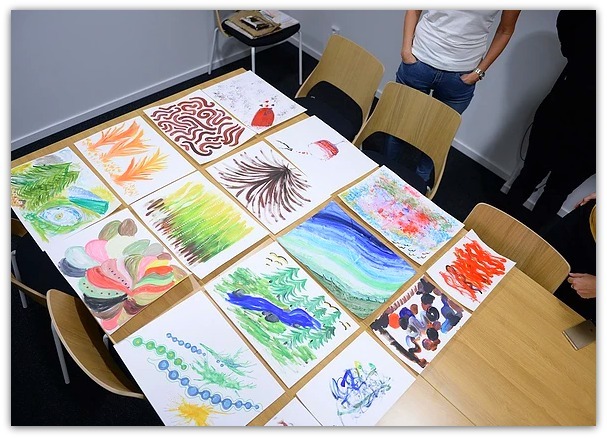 The students also express that creative meditation improves their daily life as they find it easier to deal with everyday problems and conflict from a calm and focused state of mind. Challenging is to get people to dare to try. Many are afraid of painting since school. I had students call and make me promise that it will not be like school. I have been lucky enough to paint since childhood and it has helped me through many good and bad days. I can't imagine a life without painting. Furthermore, I have been lucky enough to teach art and drawing since I was 19. The Zenart courses are based on my experiences from creating and working in 8 different countries. Dealing with depression in my family I created a programme of creative meditation. It is a combination of meditation, creation, and reflection. I am very fortunate to have had this experience and I love sharing what I have learned so far and what I am learning every day. 10. 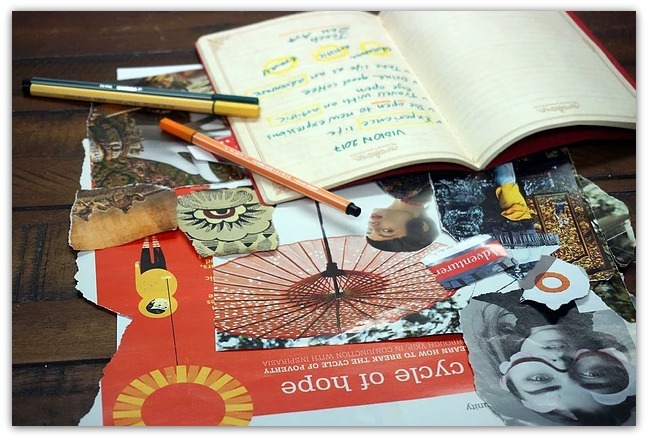 How can people reading this article support your art program? How can people find out more about you and contact you? 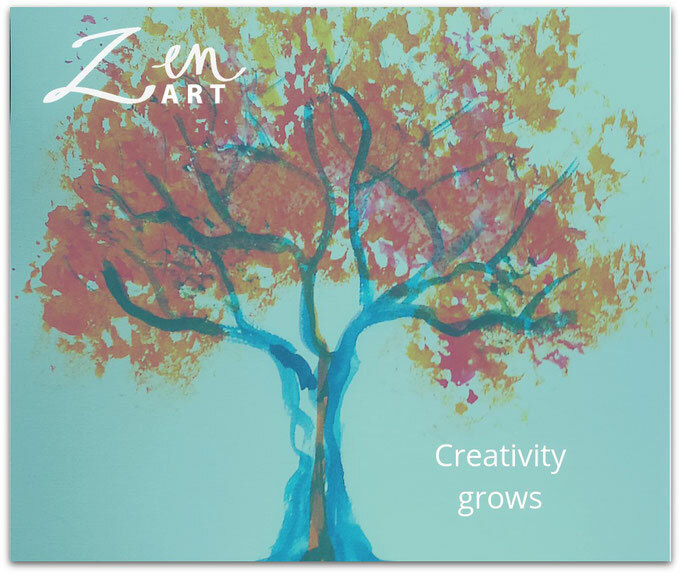 You can be a part of my Zenart program online, or send me an email if you have any questions always happy to discuss creative mindfulness and art.